Ok, so I had a real weird problem while I was away from home. hey @onedrive -- I have some tutorial videos in OneDrive that I need to turn into a playlist on my tablet. Is this possible or a pipe dream? Of course, as of this writing, they still haven't answered me. Nothing I could find related to Microsoft, OneDrive, or any of the other MS apps worked either. This means I had to figure out a solution myself using the tools at hand. 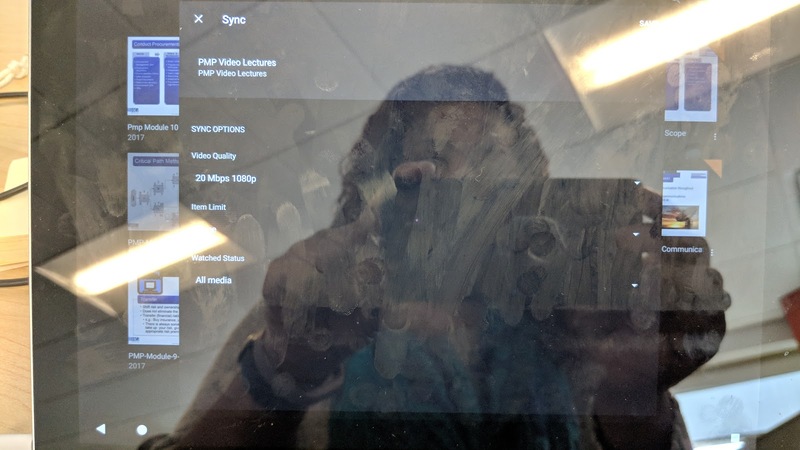 On my Pixel C, VLC wasn't working the way I needed it to, but the other option to view the videos was Plex. Plex???? For playback of videos in OneDrive? Ok ... Hit Plex, voila! Video lesson played flawlessly. No buffering, no other issues I was experiencing with VLC. But I still really wanted a playlist, ya know. Hey, look at that, I now have my video lectures, in a playlist, on my tablet. Now I can watch my videos, in the order that I need to, without going back into OneDrive to select the next one in the series. Somewhat related video that turned up while I was looking for a gif for this post.